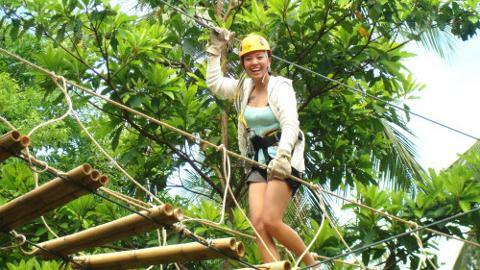 Enjoy an amazing adrenaline rush as you take on challenges at Sky Fox, a world-class outdoor zip-line park. 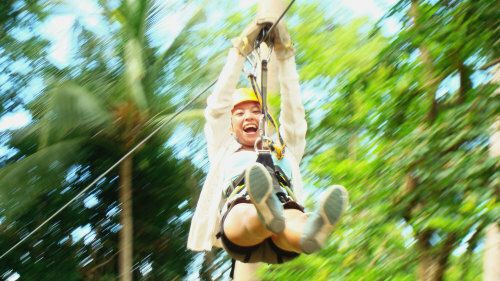 Experience the seven different zip-lining stations as you make your way from one end of the park to the other in a beautiful and natural environment. 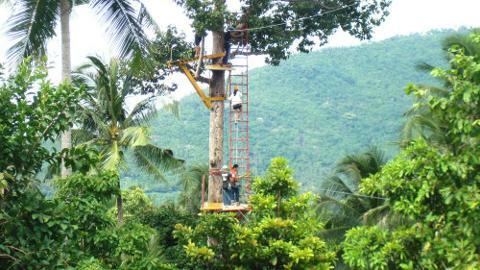 Get picked up from your Ko Samui hotel and make your way to the Sky Fox adventure park. Upon arrival, you are trained on the safety procedures by an English-speaking professional as you put on your adventure gear. Proceed to your first challenge at Station 1. 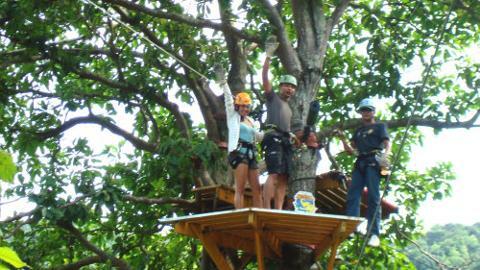 Warm up your senses as you glide from tree to tree with well-trained professionals supervising at all times. 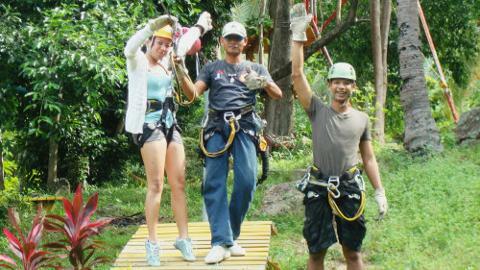 Finish your exciting zip-line experience at Station 7 before taking a relaxing hike to Ko Samui's largest waterfall, Na Muang. Upon reaching this waterfall, revitalise your senses and take the opportunity to swim in the crystal-clear waters. End your momentous day with a comfortable transfer back to your hotel. If you are aged 11 or younger, you must have your parent/guardian's permission. If you have back, neck, lower back, joint or muscular problems, you should carefully consider whether or not to participate.